Last July, we set out on a mission to develop the most innovative endurance nutrition bar from the highest quality, 100% natural ingredients. The TRIBE Infinity bar is a product based on ancient 'whole grains', containing 35g nutrient rich carbohydrates. How often have you heard the term ‘whole grain’ and been told to eat more of these? I am willing to bet we have all come across such advice at least once or twice. So what is it all about? Essentially, whole grains are the seeds of plants containing 3 components – the fibre and nutrient-rich bran outer layer, the energy-packed endosperm, and the nutritious germ. Many commercially available products are refined grains (i.e. white rice, white bread) that have the germ and bran removed resulting in loss of fibre, vitamins and minerals. Although some products are fortified with vitamins and minerals lost during processing, the resulting product still ends up being lower in certain nutrients such as fibre and magnesium. In general whole grains provide us with carbohydrate and healthy fats for energy; fibre for gut function; protein for building and repairing muscle, tissue, skin, hormones and enzymes; B vitamins essential for energy production, and aiding your body in fighting disease and infection; as well as antioxidants, and micronutrients such as iron, magnesium, zinc, calcium, potassium and selenium. That is a lot of good health packed into one very small bundle! This translates into positive health outcomes with research showing us that eating whole grains is associated with lower blood cholesterol levels, lower blood pressure, and better blood sugar control; as well as lower risk of heart disease, hypertension, type 2 diabetes, prostate & colon cancer, and even reduced inflammation. Remember that while whole grains are the best choice most of the time, leading up to and during an endurance event you will need more simple carbohydrates for energy that your body can absorb and use quickly. Whole grains can be more of a focus during your post-event recovery meal. 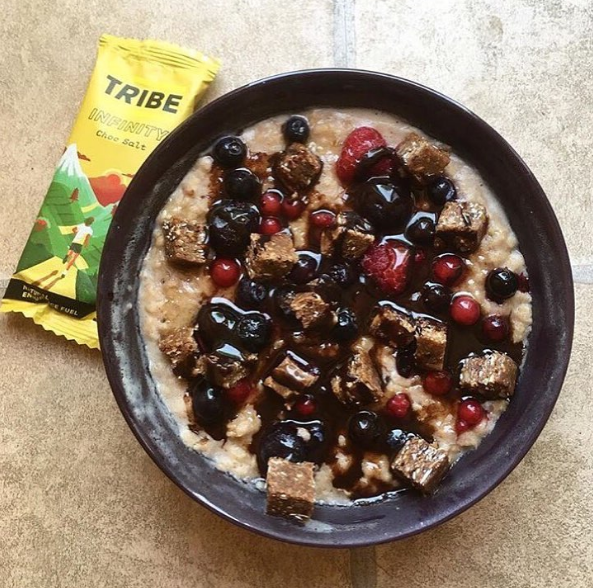 TRIBE infinity bars are a great option as part of your prep routine up to one hour before an event for slow release energy from the whole grain mix and simple carbohydrates from honey and rice syrup to provide quick energy to fuel your body. As a side note – poor gluten has been given a bad rap recently; however grains that contain gluten are not detrimental unless you are diagnosed with coeliac disease or gluten intolerance by a qualified health professional. In fact, a recent study by a team of Harvard researchers that included data from 200 000 people, has shown that restricting or avoiding gluten-containing foods can increase your risk of developing diabetes by up to 13%. So be careful with self-diagnosing intolerance to avoid cutting out an important nutrient source. By now you should be convinced not to go against the grain, but to embrace them whole-heartedly. 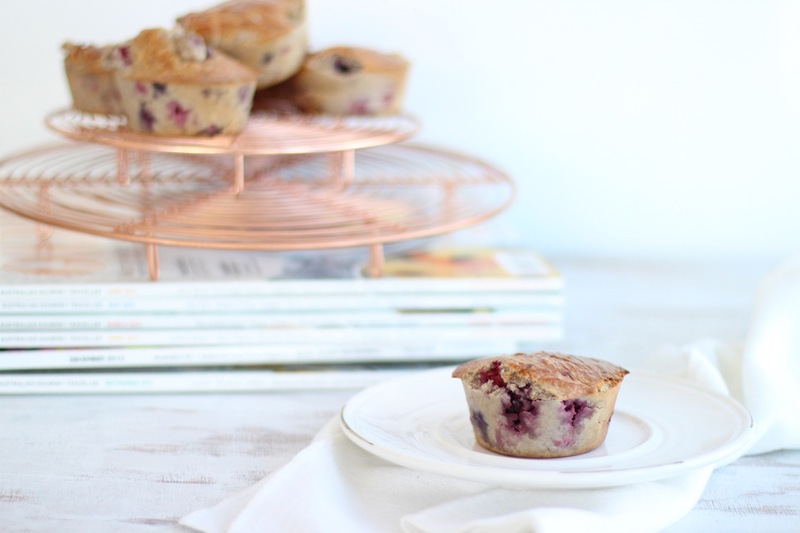 Check out these 2 grain based recipes on the TRIBE blog @ blog.wearetribe.co – the perfect post workout fuel! Written by Dr Megan Whelan - registered dietitian & nutritionist based in London. Equipped with a PhD and Masters Degree in Dietetic Studies, as well as drawing on her experience as a keen ultra-marathon runner and rock climber, she is passionate about translating the latest nutrition science into understandable, practical information about food, allowing people to make better lifestyle and food choices for good health and performance.